This is the fourth step in getting your landlord to do repairs. If the disrepair in your rented home is causing you harm or nuisance and you have allowed a ‘reasonable’ amount of time after informing your landlord in writing that you will report the issue to the council, (step 3 in our article titled ‘If the landlord refuses to do repairs’), then you may have reason to contact the environmental health department of your local council. 4 What can environmental health do ? This is part two of our last guide – How to Request Repairs From Your Landlord. If you haven’t read it, it’s probably a good idea to start there. It covers in depth about how to approach your landlord when you need to report damage or request repairs. Your landlord is responsible to provide you with safe home. Your property must have running water, electrical supply, heating and hot water. These basic utilities are indistinguishable from a normal life and their lack creates serious health hazards. You shouldn’t be left without them for more than a day or two at most. Otherwise, or your landlord is breaching the tenancy agreement and can be held liable. Your home needs to be damp and draft free and provide secure shelter. If your rented home doesn’t meet the minimum living standards, you need to contact your landlord and request their assistance. To report damage, you have to send a written letter, or email and outline the problem. Include the date, and, if possible, a photo to show the exact condition of the area. 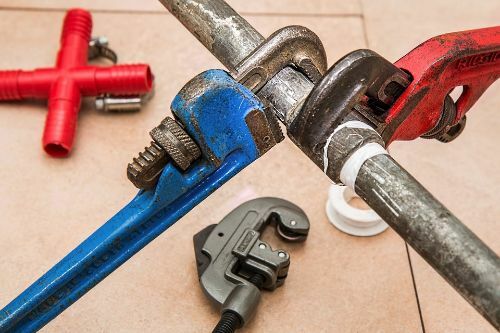 You need to realize repairs take time, and if they are not urgent, it’s normal to wait for a few weeks before the landlord arranges the work. Regardless, your landlord should quickly reply and acknowledge your request and give details about what action they will take to remove the problem. If you can’t reach your landlord by email, you need to contact them at all other available methods. Phone all numbers that have been made available to you. If there is a letting agent that manages the property, you can go directly to their office and seek assistance. At this point, you should also send a second email or letter. It would restate your problem, reference that this is your second attempt to contact them AND provide a new photograph if the condition has worsened. Finally, you want to include that unless they get in contact and take action, you will be forced to seek help from the local council. Complaining with the local council will spell trouble to your landlord or letting agent. So, most will contact you by this time and work with you to resolve whatever issue you have. If you still cannot get in contact with your landlord, letting agent, or other responsible person (if one was selected by the landlord), it’s time to turn to the environmental health department at your local council. When you can’t get your landlord to uphold their responsibility and take action towards the safety of your home, you can turn to Environmental Health. It is the governmental body that keeps watch and enforces the health code and living standards in your area or town. To get in contact, first you need to find your local council. The easiest way is to use the government local council online directory. From there you can find your local council’s website which will have information about housing problems and contact details for the “Housing Advice Unit”. This is the office you need to reach and explain your situation. You must realise that if you contact the authorities and complain about your problem, it will probably start a small war with your landlord. As this is the person that has to support you and provide you with housing, you want your relations to be as smooth as possible. Contacting the local council will not help you maintain a healthy relationship with your landlord, so always keep this as your final solution. What can environmental health do ? Upon clarifying the situation, the Housing Advice Unit can order an inspection to be carried out and confirm the problem as you have described it. The inspection will look for signs of any of the above listed items and make a report about the condition of the property. For less serious problems – serve a hazard notice to the landlord to make them aware of the issue. For moderate damage – order your landlord to carry out the required repairs and improve the living conditions in the property. They will serve your landlord with an improvement notice. It will set out a deadline for your landlord to react and take action towards the repairs. Otherwise, the council will proceed with the next step and carry out the repairs on their own, and fine your landlord up to 5000 pounds. For serious damage and urgent need of repair – carry out the repairs instead of your landlord and then charge them for the costs. For critical conditions – make a prohibition order and restrict access to parts of or the entire property. This will happen when the property cannot safely serve as accommodation. In the same time, the property will be taken off of exploitation and your landlord will have to spend extensive resources to improve the conditions. Note that the Environmental Health department cannot and will not charge tenants for the work they do. As the law dictates, tenants are not responsible for big repair jobs and maintenance of the property. If they engage in some repairs, they will turn to the landlord for their compensation. Many tenants are understandably afraid of their landlord starting an eviction procedure against them. Less than exemplary landlords often serve a Section 21 eviction notice to scare their tenants out of action. Remember that your landlord can only evict you if they follow the correct procedure as defined in the law. Only the bailiffs at your local council can physically remove you from the premises, after the landlord has obtained a possession order from the court. Anything else is considered illegal and your landlord might be making a criminal offence. For tenancies started after the 1st of October, 2015, you can’t be evicted after contacting the Environmental Health department. The law has been changed to reflect on the possibility of retaliatory evictions and prevents your landlord from using a Section 21 notice if they have been served with an improvement notice.